Other size available upon request. Size distribution: DIN, ASTM, BS, GB available. Packing: In bulk or 1 ton bag. 25-50 kg bag for sized product. Other packing available upon request. 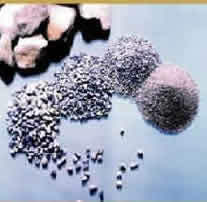 We supply bauxite with the following specifications. for manufacture of high alumina bricks and other refractory products.